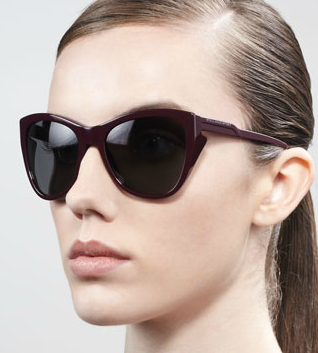 By Stella McCartney, I love the burgundy color and tiny architectural details! Alas, they are also a very pricy $225 at Neiman Marcus. 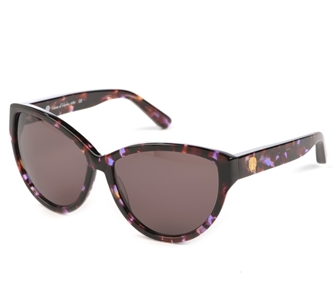 This House of Harlow pair has a similar cat eye shape, slightly taller so less retro but more flattering. And the pretty speckled color is a great pop! Best of all, they're a more affordable $125 at Pink Mascara!